The twentieth century has been a great success for modern medicine, and has resulted in the generation of a plethora of drugs to treat most common illnesses. However, in the light of increasing regulatory demands, spiralling costs and diminishing commercial returns, the question of how, when, where and whether to conduct pharmaceutical R&D has profound implications, and not just for those within the pharmaceutical industry. 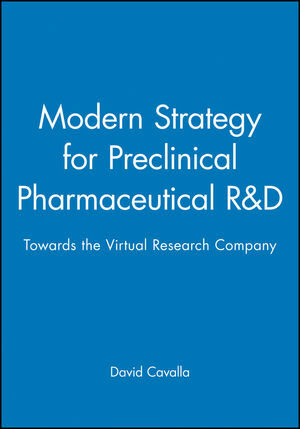 In response to these and other dilemmas, the authors define the processes involved in drug research, and examine the advantages and disadvantages of collaborative methods of drug research, and examine the roles that academia, CROs, small "biotechnology" companies and "research boutiques," and possibly even the "virtual research company" might play as contractors and collaborators. David Cavalla is an expert on secondary uses for existing drugs, or drug repurposing. He currrently operates through his consultancy, Numedicus Ltd, having worked in drug repurposing for 15 years. Previously he was CEO of Arachnova, and prior to that held various senior positions in pharmaceutical drug discovery at GSK and Napp Research Centre. He has written widely on drug discovery strategy, and is the author of 70 published papers and patents. The Advantages of Contracts and Collaborations. The Disadvantages of Contracts and Collaborations. The Role of Academic Institutes. The Role of CROs and Small Research Companies. Towards the Virtual Research Company.